One of our most popular items! 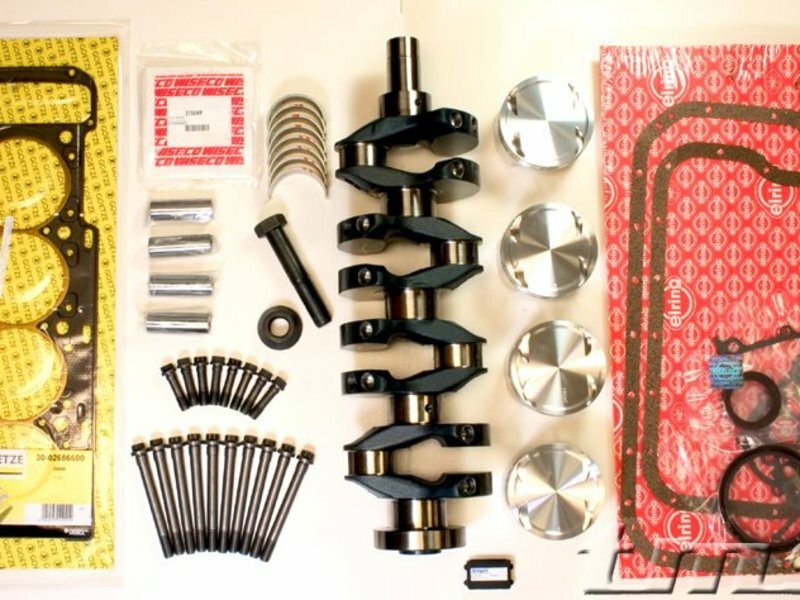 We have been selling our S14 stroker kit since 1993. Since then we have sold HUNDREDS of this exact kit, and have received incredible feedback from our customers. RELIABLE Horsepower is our goal. Our E30 M3 2.5L Stroker kit uses factory BMW Evolution III parts to convert the stock 2.3 liter engine into the Evolution III 2.5 liter engine. Increasing the displacement and raising the compression yields much more torque: +50 ft/lbs @ 4000 rpm. With a stock head our 2.5 kit will make over 225 hp. Our kit includes everything you need to convert your 2.3L into a 2.5L. We highly recommend upgrading the intake and exhaust system to allow larger 2.5L engine to breath. Call for more details and for "custom" packages. We can set you up with any other engine components you may want to replace (tensioner rails, chain guides, oil pump, etc) at the same time. For your benefit, we carry all these items (and at a great price). Turner/Conforti Custom 2.5 Liter Computer Chip **Only available from us! This is what sets our kit apart from the "other guys kit"